Tim Gould, P.T., D.P.T., O.C.S. Tim Gould is the Clinical Coordinator who manages the Dee Physical Therapy clinic in Shelburne. As a lifelong athlete who is working on his Adirondack 46 High Peaks, he has combined his love for sports with his career in physical therapy by overseeing Runners Rx, which is a running wellness and performance program and SwingRight, a golfing wellness and performance program. An avid snowboarder, Tim also runs an annual Ski and Snowboarding conditioning class each autumn. Tim earned his Doctorate in Physical Therapy at Upstate Medical University in Syracuse, NY preceded by a Bachelor’s Degree in Health Science and a Master’s Degree in Physical Therapy from Nazareth College in Rochester, NY. He is a Board Certified Orthopedic Clinical Specialist (OCS). 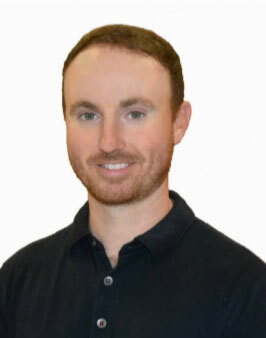 Tim has over 15 years specializing in rehabilitative, fitness, and injury prevention work with golfers. He is TPI (Titleist Performance Institute) and Back to Golf certified. Paired with his SFMA (Selective Functional Movement Assessment) certification, Tim’s background in biomechanical assessment prioritizes a comprehensive, full body movement analysis in determining the root cause of and best treatment for injuries. The goal of such evaluation is not only to resolve a current injury, but to help prevent future episodes. Prior to joining the team at Dee Physical Therapy, Tim practiced as a traveling physical therapist, gaining experience in acute, sub-acute, long-term, and outpatient settings across the country. Following travel, he practiced at an outpatient orthopedic facility in Binghamton, NY for five years, where he focused on rehabilitation within active and athletic populations. Tim has been a poster presenter at the American Physical Therapy Association’s annual Combined Sections Meeting, is a guest health columnist in The Charlotte News, and has recently been involved with the University of Vermont Doctor of Physical Therapy Program assisting in clinical and classroom instruction.